Today I am hanging grasscloth on wood paneling. 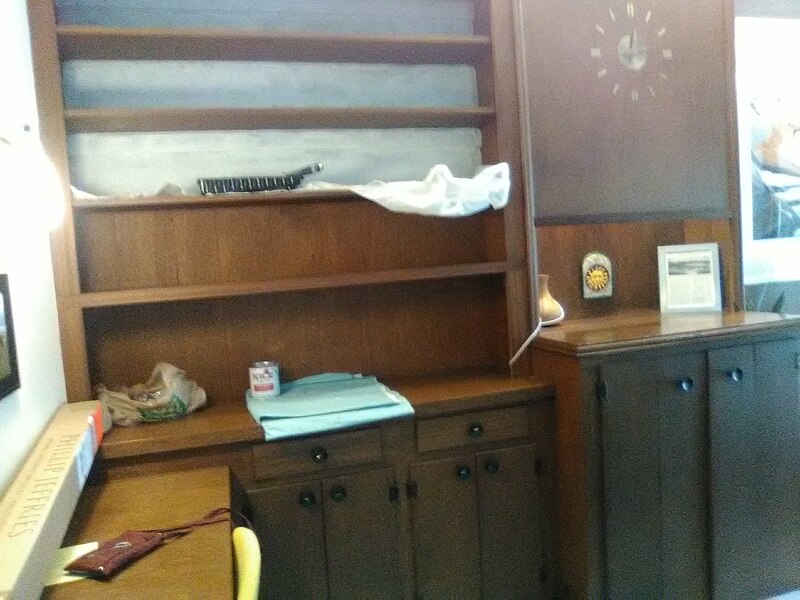 You can’t just slap wallpaper on top of wooden paneling. Even old wood has resins, and these can bleed through wallpaper. 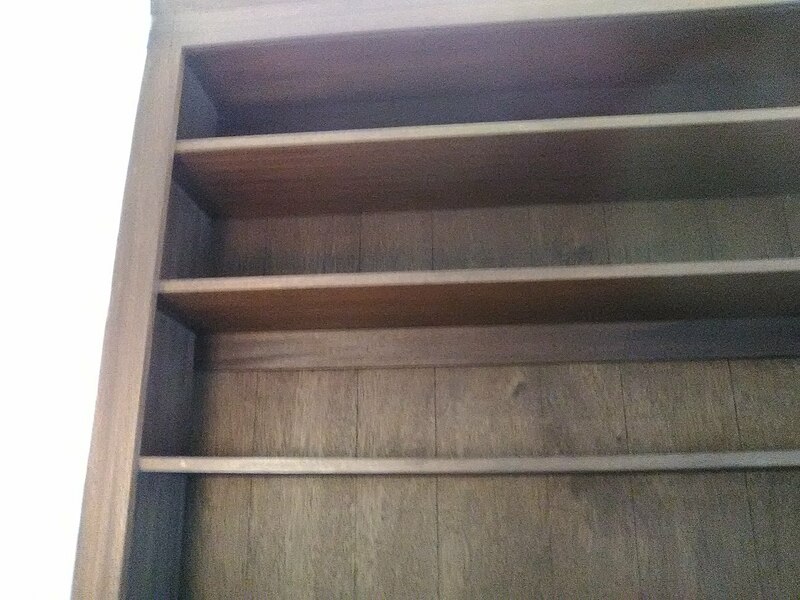 So the paneling had to be treated with a stain blocker. 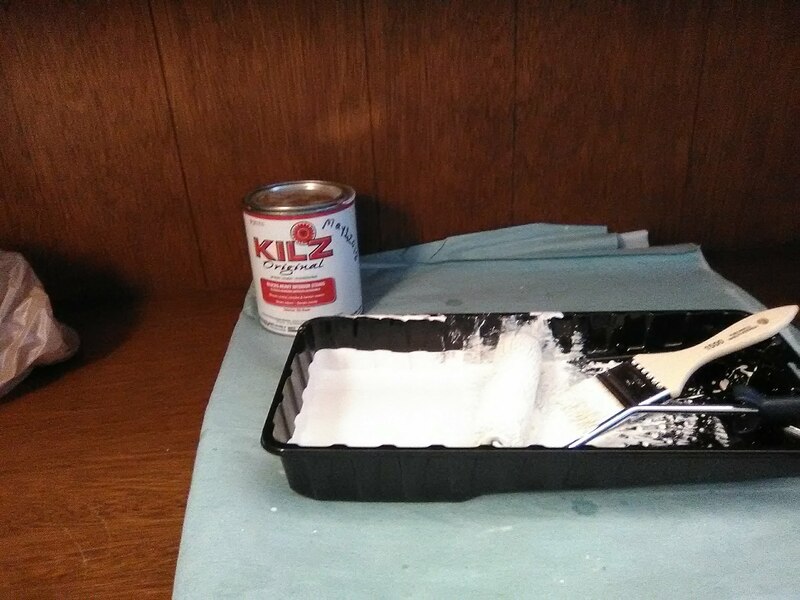 I used KILZ Original (their water-based version is not as dependable), a wonderful oil-based primer that seals off a multitude of problems – wood sap, water stains, tobacco, rust, blood, grease, ink, etc. In addition, the grooves in the paneling had to be filled in, to prevent the wallpaper from drying, pulling taught, and sucking down into the grooves, revealing a visible vertical line. So once the KILZ was dry, I skim floated the paneling, both to bridge the grooves, and to fill in the light wood grain, and, to add a second buffer layer to seal off any wood resins. This was sanded smooth and followed by a coat of a penetrating primer called Gardz. 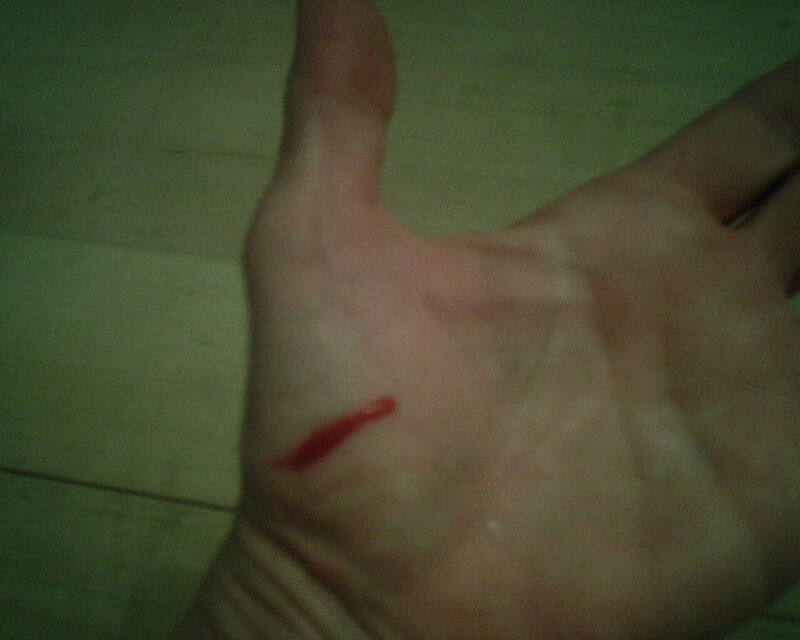 Slight injury on the job. Actually, getting cut by a razor is pretty common. 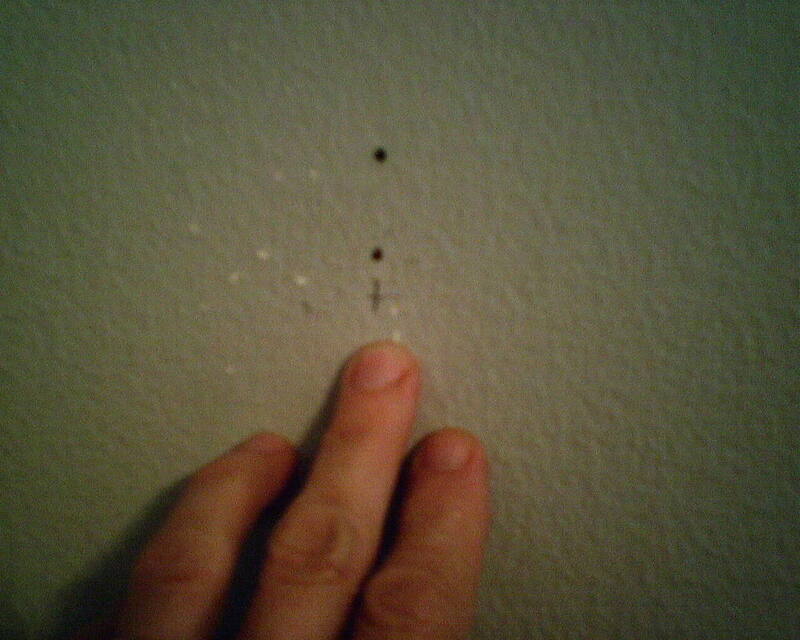 You just have to catch the blood before it gets on the wallpaper (it will stain it), and then wait a few minutes ’til it stops bleeding.